What is it that makes some people’s lives so happy and fulfilled? Why do some people stay resolutely optimistic? This kind of happiness is not necessarily the result of your genes or luck. Rather, it can be cultivated and learned. 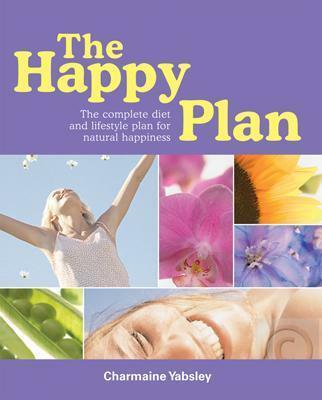 In this book Charmaine Yabsley looks into the what action can be taken to boost your serotonin naturally and get happy. Yabsley begins by analyzing the symptoms of happiness and depression. The books is then divided into three parts: Part One, Happy Hormones, helps you understand the ‘natural’ reasons for your mood swings – your hormones. Part Two, Happy Food, looks at all the happiness-giving foods that will not only put a smile back on your back but will give you more energy and motivation. Part Three, Happy Life, looks at exercise, work/life balance, relationships, alternative therapies and hobbies. There are questionnaires that allow you to discover more about yourself and what treatments best suit you. Yabsley provides you with happiness plans, tips and advice that guide you on the road to improving happiness – the natural way.